Increased life expectancy means that the prevalence of cognitive disorders leading to dementia will double over the next 25 years. This will mainly be due to an increased prevalence of both neurological diseases (Alzheimer’ disease, stroke, multiple sclerosis (MS), Parkinson’ disease (PD), epilepsy, etc.) and mental disorders (psychosis, mood disorders, addiction, etc.). 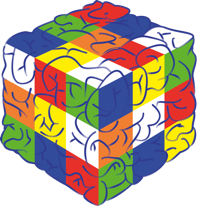 In addition to the neuronal origin of cognitive disorders and dementia, it is now acknowledged that a number of vascular and metabolic risk factors influence the onset or course of cognitive disorders. The neuroscience research units in the city of Lille have come together to form a networked institute focused on translational and multidisciplinary approaches for identifying the main pathophysiological mechanisms involved in cognitive disorders (brain lesions, protein aggregates, impaired functional connectivity, etc.) and developing new symptomatic and disease-modifying treatment strategies. To achieve these objectives, it has been necessary to develop a translational facility that encompasses automated neuropsychological evaluations, structural and functional brain imaging, and neurophysiological approaches (such as high-resolution EEG). The facility has been funded by local and national institutions, and has been further boosted by its participation in (and coordination of) a Europe-wide consortium under the EU/EFPIA-sponsored Innovative Medicines Initiative (IMI). The preclinical imaging core facility led by Prof. Damien Huglo, is located on the campus of the University Hospital of Lille. In this recent years, technical evolution of in-vivo animal imaging has revived the prospects for health research. 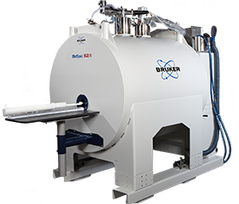 Our technical platform has two magnetic resonance imaging (MRI) equipment: one 0.2 tesla (Hitachi, Airis Mate) dedicated to big animals (sheep and pigs) and a 7 teslas (Bruker, Biospec) dedicated to rodents (rats and mice). The Clinical Imaging Core faCility (ci2c), headed by Pr. Jean Pierre Pruvo and located at Lille University Hospital in France, focuses on developing and optimizing methods and software for quantitative analysis of brain medical images with particular focus on the study of neurodegenerative and epilepsy diseases. We work with many types of data, including functional magnetic resonance imaging (fMRI), diffusion tensor imaging (DTI), structural imaging, electroencephalography (EEG), and nuclear imaging (PET). 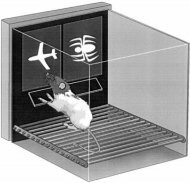 The Functional Exploration Platform (FEP) is an important area of 150m2 dedicated to the analysis of the behavior of rodents. The behavioral assessment tests available allow characterization of neuropathology rodent models in terms of cognitive abilities, major and fine motor skills, as well as anxiety traits or depression. Au cours de la conférence des JFR 2011, Monsieur Jean-Paul Delevoye a appelé les soignants à rétablir l'équilibre entre savoir et technicité et écoute et empathie. Aux patients, il a adressé un encouragement à devenir acteurs de leurs parcours de soins dans le respect des professionnels qui les accompagnent tout au long de la maladie.